This is the only known survivor of this model. 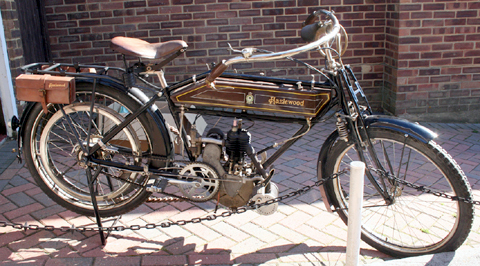 Hazlewoods Ltd were initially cycle builders in Coventry. 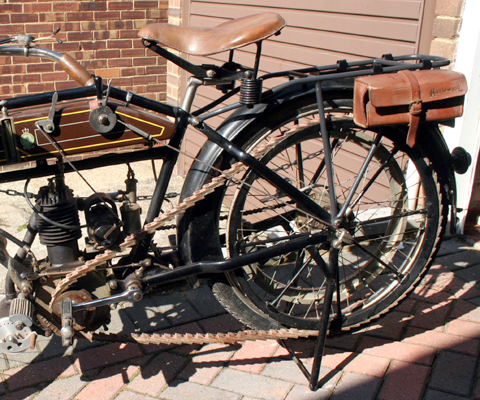 Motorcycle production started in 1905 and continued until 1923. Many were exported and there appear to be very few survivors now. I owned this one until 2007, when I sold it to my friend Pascal in France. 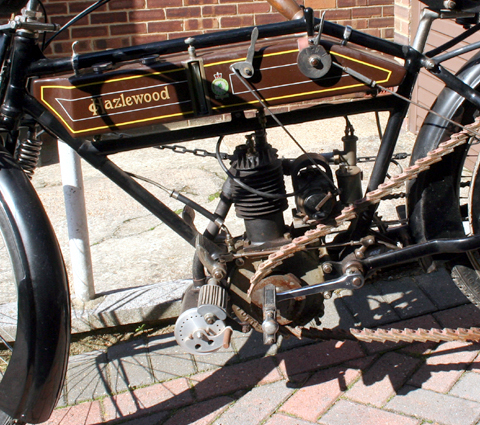 It has had quite a bit of work done on it to improve its mechanical operation. He recently asked me to re-sell it for him. 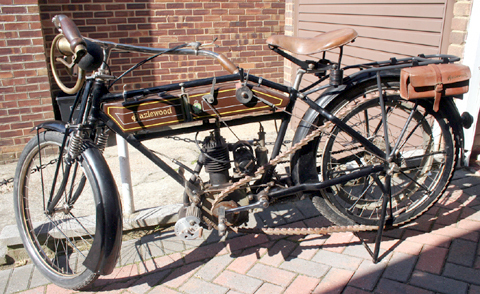 It has a Pioneer Certificate, so you can ride it in the prestigious annual London-to-Brighton Pioneer Run. 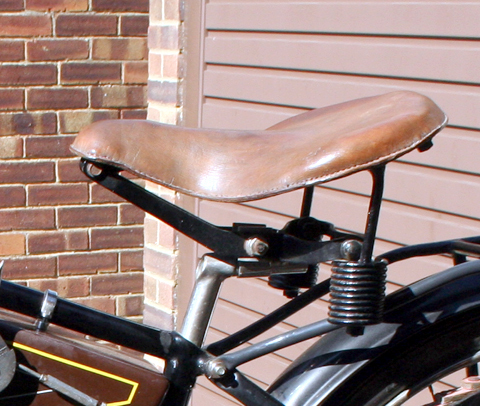 There’s a new magneto, and the 3-speed Armstrong rear hub has been rebuilt. It now functions very well, with a clutch. It starts easily, the engine is strong, and it runs well. 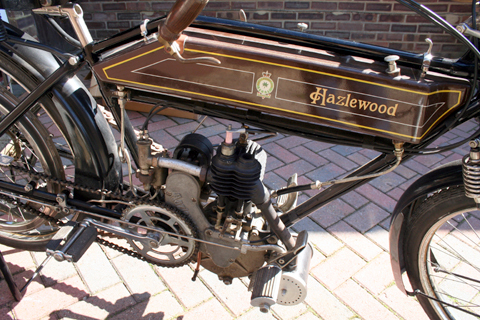 In 2008, I was contacted by the grandson of the Mr. Hazlewood who built these machines; the following year another descendent provided additional information for me to add to its history page. 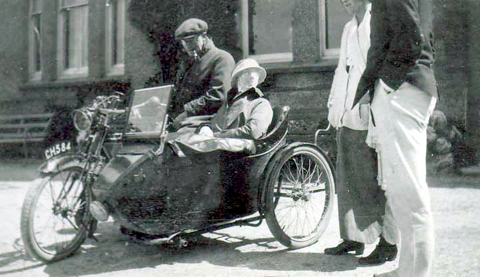 DELIVERY IS INCLUDED in this auction, to Brighton, E.Sussex.